Thailand has become a world leader in the art of the putsch as sometimes corrupt military leaders think nothing of silencing protests at the point of a gun. 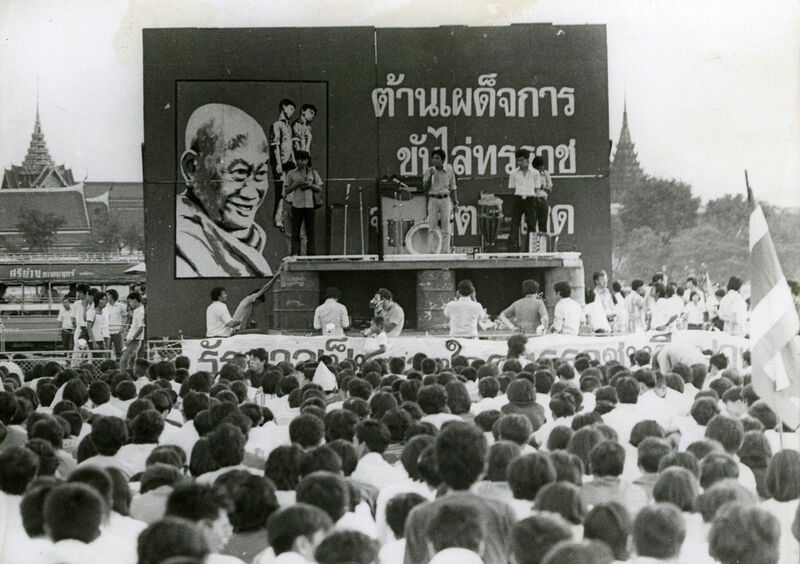 Students and protesters stage demonstrations in October 1976 to expel Field Marshal Thanom Kittikachorn. 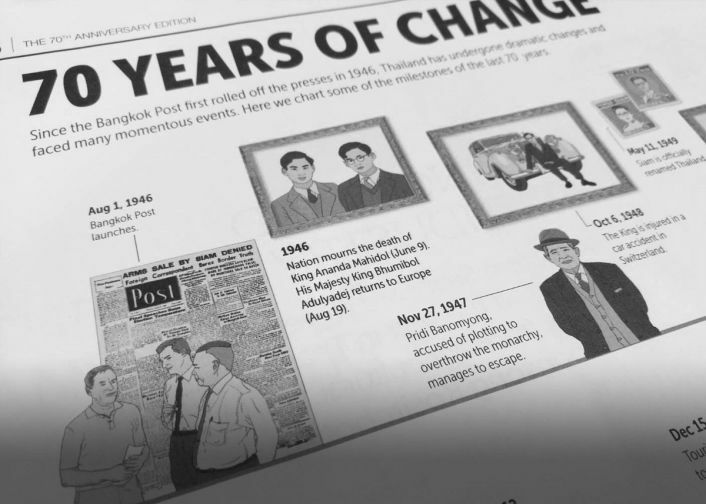 Over the past 70 years, Thailand’s democracy has been a roller-coaster ride. Democracy bloomed but briefly, to be replaced by years of military rule. Thailand does not often appear on lists of world rankings but is right at the top for the number of coups. Since the Siamese Revolution in 1932, which turned the country from an absolute monarchy into a constitutional monarchy, Thailand has experienced 25 coups and attempted coups, making it one of the most coup -battered nations in the world. Among rival contenders are Haiti with 25 coups and attempted coups since 1806, Greece with 18 coups since 1831, Bolivia with 14 since 1899 and Afghanistan with 11 since 1919. Field Marshal Thanom Kittikachorn (right), head of the Revolutionary Party, with Field Marshal Prapass Charusathiara. 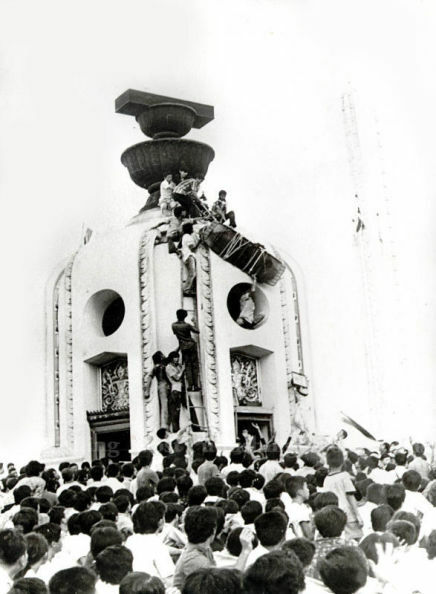 Oct 14, 1973, uprising: Students scale the Democracy Monument. After World War II, Seni Pramoj, Thai ambassador to Washington and a key member of Seri Thai, the underground movement against Japan during the war, was invited to become prime minister in September 1945. In May 1946, a new constitution was promulgated, paving the way for a general election. Pridi Banomyong, one of the leaders of the Khana Ratsadon group or People’s Party that engineered the Siamese Revolution in 1932, was appointed prime minister after the election. However, shortly after taking office, the Pridi administration came under pressure. In July 1946, a Bangkok Post headline read: “Tension surrounds Pridi government”. The government sought to quell attempts to undermine its authority after rumours emerged of the prime minister’s involvement in the untimely death of King Ananda Mahidol. In August, Pridi resigned from the premiership. Thamrong Nawasawat was later named prime minister. 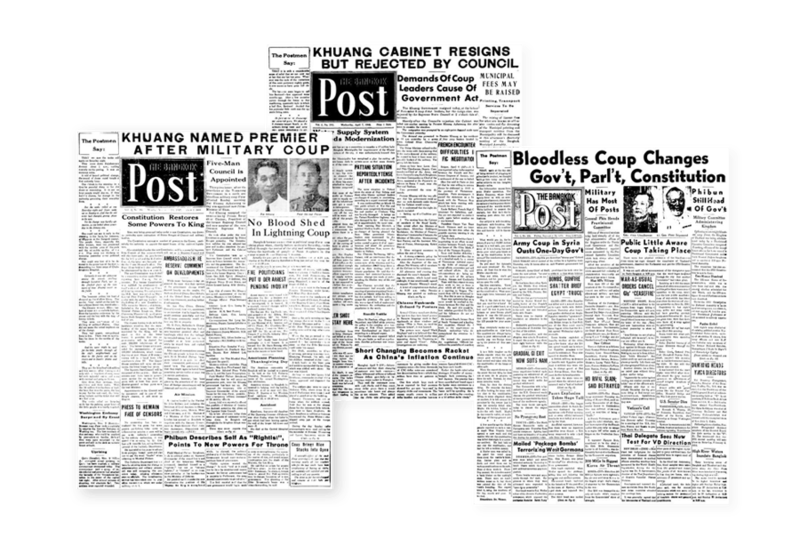 But in November 1947, the first coup after World War II made headlines in the Post: “Coup Group topples Thamrong government”. A group of military officers launched a bloodless coup to overthrow Thamrong’s government. The coup, led by Lt Gen Phin Choonhavan and Pol Lt Gen Phao Sriyanond, ended the tenure of the civilian government. Field Marshal Plaek Phibulsonggram became prime minister in April 1948 and his military government remained in power for nine years and survived several attempted coups. On June 29, 1951, Lt Cdr Manat Charupha, a marine officer, held Field Marshal Plaek at gunpoint during a ceremony delivering US dredger Manhattan to the Royal Thai Navy and detained him on board HTMS Sri Ayutthaya. The rebels, led by Capt Anon Puntharikapha, appointed Phra Sarasatpraphan as prime minister. However, the government did not surrender but countered with a fierce attack. The rebellion was over within 36 hours with about 1,000 suspects arrested and 100 charged and jailed. In September 1957, Field Marshal Plaek was toppled by his trusted junior in military school and then army chief Field Marshal Sarit Thanarath. Field Marshal Plaek took asylum in Japan, where he later died. After the coup, Field Marshal Sarit let civilian Pote Sarasin be prime minister of the puppet government and appointed his close aide Lt Gen Thanom Kittikachorn as defence minister. Lt Gen Thanom consolidated his power. In January 1958, he was appointed as a full general and assumed the premiership following a resolution by the military-controlled parliament. During the nine months of his administration, there were several parliamentary conflicts which the prime minister failed to resolve. As a result, Gen Thanom, with Field Marshal Sarit, staged a coup to topple his own government. Field Marshal Sarit took office as the head of the Revolutionary Council and subsequently became prime minister. After Field Marshal Sarit died in 1963, Gen Thanom took the helm as prime minister again and appointed himself commander-in-chief of the army and promoted himself to field marshal. Although he was personally popular, his regime was known for massive corruption. He led the Saha Prachathai Party in October 1968 and reappointed himself as prime minister again in February 1969 after an election. In November 1971, he staged a “self-coup” to maintain his power and led the National Executive Council as a caretaker government for one year. In December 1972, he appointed himself as prime minister for the fourth time. Field Marshal Thanom let his son Col Narong play a key role during and after the coup. He set up his son to succeed him, while Col Narong’s father-in-law Gen Prapass Charusathiara was appointed deputy prime minister. Gen Prapass was later promoted to a field marshal as well. Massive corruption and abuse of power carried on until the trio were known as the “three tyrants”. The absolute power wielded by the Thanom regime led to public dismay. Student protests were ignited at Ramkhamhaeng University on June 20, 1973, when students rallied to demand the resignation of the rector and expanded into a 10,000 strong anti-government demonstration. The crisis erupted when nine Ramkhamhaeng University students were expelled for publishing a satirical magazine mocking government and military leaders. Protests against other perceived injustices then spread to other universities. As the protest grew, Field Marshal Prapass put the military and police on alert. Movements of students and protesters against the government intensified. On Oct 6, 1973, 11 student leaders were arrested for distributing leaflets calling for the early promulgation of a constitution. Some 400,000 people marched on the streets against the regime on Oct 13. The following day, troops opened fire on demonstrators, killing at least 70 and injuring more than 800. In fact, the number of deaths has remained unknown but an official account reported that 77 were killed and 857 were injured. On Oct 15, reports on the student uprising dominated the Post, with the headline “Hundred die as government falls”. Following the bloody crackdown, His Majesty the King addressed the nation on Oct 14, urging an end to the hostilities. On Oct 16, Thais were relieved as the “three tyrants” fled the country, bringing an end to the regime. A new constitution was promulgated in October 1974, paving the way for a new general election, and Seni Pramoj came back to form a civilian government. From 1975-76, Seni and his brother Kukrit alternated as prime ministers due to their relatively weak and unstable support in parliament. Following the Oct 14 uprising, the rise of progressive student movements posed a challenge to the authority of conservative elements, sparking fear the country’s politics would swing to the left or turn socialist or even communist. Rattled, the conservative camps responded by consolidating their power through informal forces, including Village Scouts, right-wing Krating Daeng and Nawaphon networks and using ultra-royalist media, particularly the army’s Yan Kro radio station, for propaganda to make hate speeches against students. The movement was called “the right kills the left”. 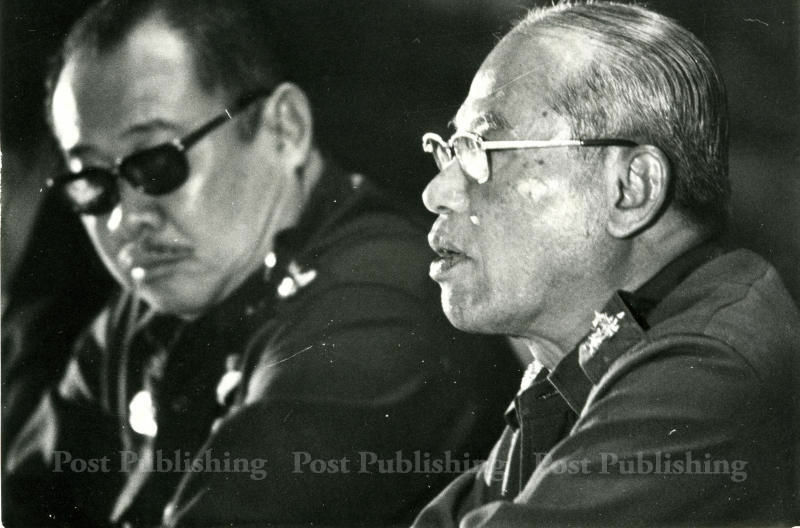 Tensions in the country rose as Field Marshal Prapass returned to Thailand from exile in Taiwan in August 1976 and Field Marshal Thanom, dressed in a novice’s robe, returned from exile in Singapore in September. Students organised massive protests against their return. Two activists pasting up anti-Thanom posters in Nakhon Pathom were garroted before being hanged. A few days later, more than 8,000 students gathered at Sanam Luang to demand the government expel Field Marshal Thanom. On Oct 4, 1976, a protest at Thammasat University intensified as students re-enacted the hanging of the two activists to denounce the government. The next morning, photos of the re-enactment were published in the Thai-language Dao Siam and the Bangkok Post. However, the conflict intensified when Dao Siam published the photo of one of the students being mock-hanged, and it appeared to bear a resemblance to a royal family member. It was accompanied by a headline that led to public misunderstanding. Right-wing groups cited this to claim that students posed a threat to the monarchy. The allegations quickly sparked public anger against students. On Oct 6, 1976, police, soldiers and mobs of right-wing extremists stormed Thammasat University, brutally beating and killing students who were gathering in the compound. At least 41 people were killed and many were injured or went missing, while more than 3,000 were arrested. 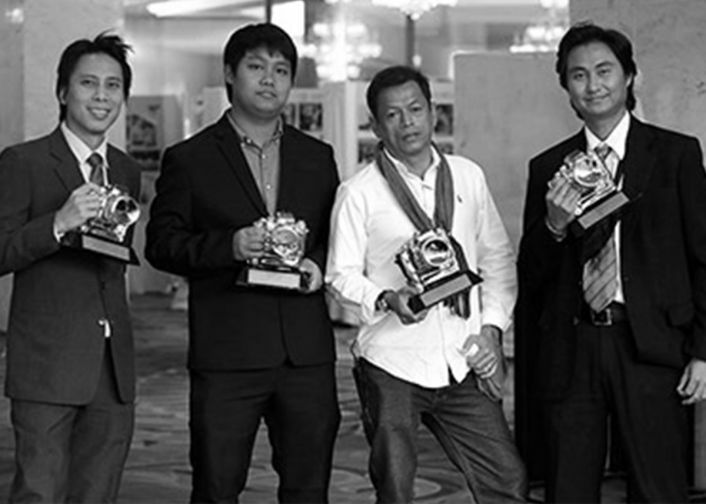 Paisal Sricharatchanya, former editor of the Bangkok Post, recounts the political crisis. At the time, he was the news editor and responsible for daily photo selection, including the picture of the mock hanging. “For several years I had selected photos every day. And that day I did my job as usual. Among a number of photos, the [mock-hanging] photo was the most interesting, so I decided to use it, nothing more,” he recounts. He said the Post published the photo in its morning edition while Dao Siam used the same photo in its evening edition amid suspicion the photo used in the Thai-language newspaper was doctored. Following the bloodshed, Adm Sangad Chaloryu, the supreme commander, staged a coup to topple Seni Pramoj and install a right-wing civilian government led by Tanin Kraivixien, the former chief judge in the Supreme Court. Meanwhile, Field Marshal Thanom left the monkhood but never entered politics again. In his short-lived administration, Mr Tanin faced two military coups. The first broke out in March 1977, staged by younger army officers known as the “Young Turks”, but it failed. The second was in October the same year, staged by Adm Sangad and then supreme commander Gen Kriangsak Chomanan, which was successful. Gen Kriangsak later took over the premiership. Gen Kriangsak resigned from the premiership in 1980 due to the oil crisis and problems in parliament. Gen Prem Tinsulanonda, who was defence minister and army chief, was selected as the next prime minister. His administration remained for eight years despite two attempted coups. 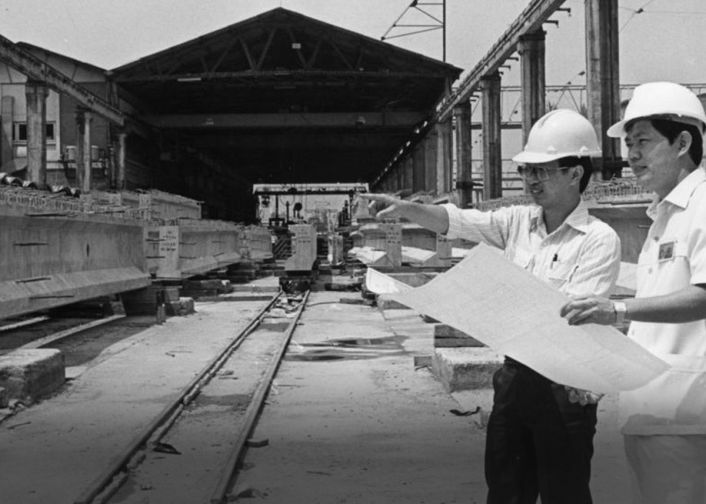 After Gen Prem’s tenure, Gen Chatichai Choonhavan, who served as deputy prime minister under the Prem administration, became PM after his Chart Thai Party won the general election in 1988. However, corruption plagued his coalition government until the press dubbed them the “buffet cabinet” and the situation led to another coup. On Feb 23, 1991, supreme commander Gen Sunthorn Kongsompong, supported by army chief Gen Suchinda Kraprayoon, staged a coup and formed the National Peacekeeping Council. It was swift and bloodless — a rare event in this country. Just over a year later, large groups took to the streets of Bangkok to demand the departure of the generals at the cost of dozens of civilian lives.